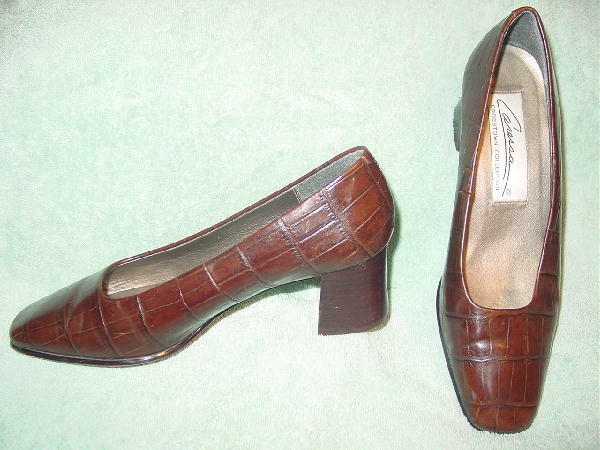 These dark brown modified square toe shoes are by Caressa. 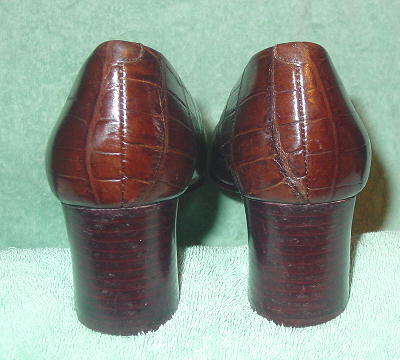 They have an embossed alligator pattern and wood stacked heels. There are light bronze leather linings and insoles. They have non-slip rubber inserts on the soles.